After months — or maybe longer — of operating on your own, you’re ready to hire your first employee. Congrats! Hiring your first employee is a big step for a small business owner. So now what? Now that you’re ready to welcome a new team member aboard, it’s time to think about your onboarding process. Beyond the administrative and legal paperwork you have to fill out, you need to consider how you’ll set up new employees for success. By developing a clear onboarding plan, and anticipating what they’ll need, you can make sure they stick around. Below are six things you should do to successfully onboard new employees. 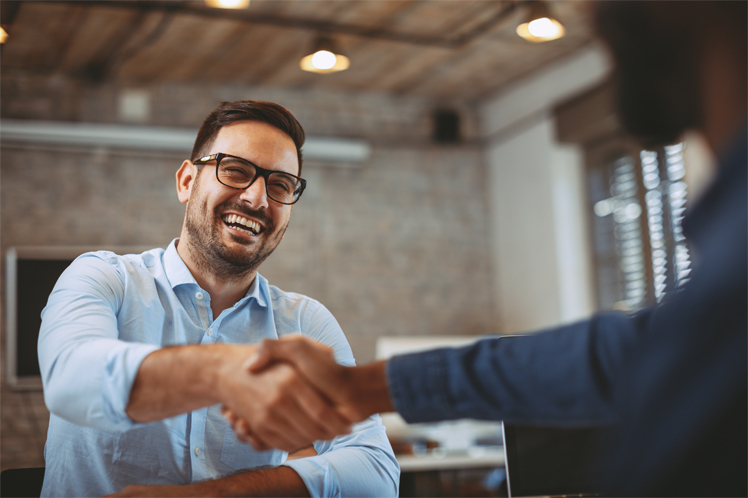 As they say, “first impressions are lasting impressions.” If you have a plan for your employee during their first week, they’re more likely to feel comfortable in their new environment and confident in you as their leader. Draft up a list of key information they need once they start, such as an outline of their responsibilities, internal company systems, and your products and services. Once you’ve established what they need to know to excel in their role, make an agenda that gives you sufficient time for training. While hearing the words “company culture” might feel premature since you’re just hiring your first employee, it’s important to think about the future of your company and the type of culture you want to build. If you have a strong culture that permeates throughout your company, it helps your employees feel more connected, which promotes retention. When establishing your culture, figure out what’s important to you and make it known as you onboard new employees. This can get overlooked, as business owners might not think they need to formally adopt a management style; they just do what’s organic for them. While it’s important to be adaptable in your management style, you should have a clear idea of how you want to lead. When deciding this, take various factors into consideration, such as your business type, your team structure, your personality type, and the personalities of your staff. From there, you can determine the management style that’s most effective for your business. Regular check-ins with your employees are critical, especially when they’re new. As they’re onboarding, follow up with them on a regular basis to ensure they have what they need and don’t have unanswered questions. In addition to this, create a channel for two-way communication by setting up formal check-ins. You should set aside time for an official new hire check-in after their first 90 days, and then establish a regular cadence of one-on-one meetings from there. This lets your employees know that you’re invested in them and value their input. Understandably, your employees will want to build skills over time to grow in their careers. Have an open dialogue with them to learn about their career goals and find out what type of training would be helpful. Support them by creating professional development opportunities, whether they’re free internal mentorship programs, paid trainings, or industry conferences. If you create these opportunities for your employees, they’ll know you’re invested in them and they’ll see you as a partner. As soon as they start, give your employees access to the tools and software they need. Whether it’s payroll software to manage their time or apps to increase their efficiency, have a protocol in place for setting your employees up with these resources from day one. To make sure you allocate time for it, include it as part of your training agenda. By having access to the tools they need, your employees will be more self-sufficient and better equipped to succeed in their role.